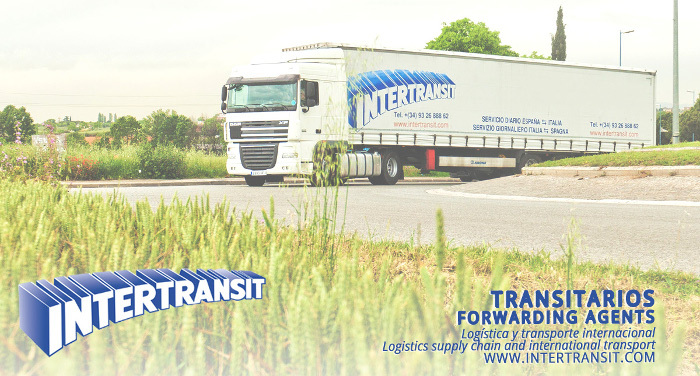 INTERTRANSIT was founded in September 1983 by Eduardo Aragonés, Josep Mª Santos and Antonia Sabater. Along those years it has been created a solid structure, with 16.000sq.meters of facilities and a Business Turnover near 14 million euros distributed between Sea freight, airfreight, logistics and international and national land transport. We are recording last years an steady growing rate, due to continuous investment we commit, mainly, to keep a powerful commercial team and a technical department expertizing new technologies appliances. Thanks to this policy we are following quite close the trend of international economy recovery. Our activity by route covers overall Europe and we are increasing our presence in Oversea operations (Airway – Seaway). But we must emphasize in services of Picking and Distribution as the activity area with a particular interest, specially growing, and for which we decidedly bet. Intertransit is member of ATEIA, FIATA, IATA and of course we are accredited with ISO9001 Certificate. Our depots have Health Certificate and Customs Bonded Area Authorization. We have over 60 employees between the centers of Barcelona, Madrid and Valencia. This level of activity is powerfully driven by a strong commercial team focusing services and interests that customers expects from us. Moreover, most of this people is linked since longtime ago with Intertransit, and shares this policy at full. Our Highlights sectors: Food (We have certificate for conventional temperature food, for human and animal food), Chemicals, Fashions, Leather, Hazardous goods, etc. Management goes basically with Information Technologies and communication technologies (TIC) like EDI, Radio Frequency, Web Tracking, ERP System connected to all of our branches. We have a work philosophy based on dedication and closeness to customers and correspondents to ensure direct care. INTERTRANSIT is formed by young professionals but with a long career in the company and in the industry of logistic, being sensitive to service and brand they represent. We have a very solid and operational professional traffic, quality of service and communication, experience and dedication. Our specialty and interest has always been to develop together with our partner’s groupage services, in both import and export regular and reliable. Our interest and continuous work is searching for new partners, on the one hand to ensure the quality and values at work, with confidence, safety and efficacy. On the other hand the expansion potential and emerging markets that is beneficial for partners, developing new products and operational efficiency. We also offer to our future partners, values such as confidence in a company with years of experience, a strong sales department to develop new lines or products, communication and security.